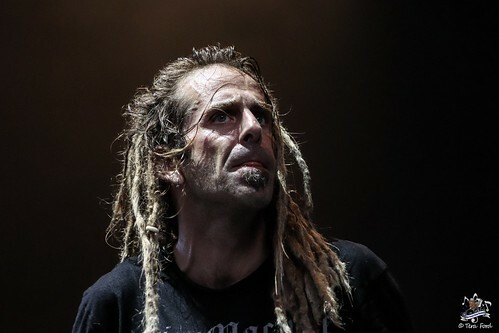 Earlier this year it was announced that the almighty Slayer would be going out on their farewell tour bringing along with them Anthrax, Testament, Behemoth and Lamb Of God. For fans this tour means one last chance to get crazy and honor the legacy that Slayer is going to be leaving behind. I was able to catch the tour at Jiffy Lube Live in Bristow, Va., where hundreds of fans packed the amphitheater ready to witness one of their last shows. Testament opened up the night with one hell of a set. They played “Brotherhood of The Snake,” “Into the Pit” and “The New Order.” This band never slows down and their sets are always fantastic. 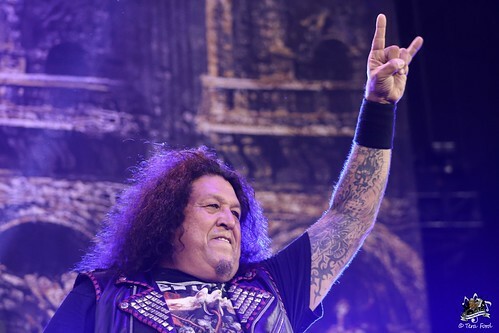 Frontman Chuck Billy is one of the best and is amazing at getting the crowd riled up. Even though their set was really short they gave their fans exactly what they wanted to hear. Behemoth was up next and absolutely dominated the stage. 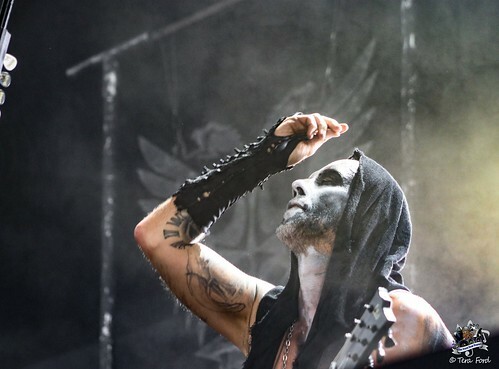 Frontman Nergal has this huge microphone stand with cobras coming out of it that instantly grabs your attention, as well as his and the rest of the band’s stage makeup. Anthrax opened their set with “Caught in a Mosh” which instantly set the crowd off. 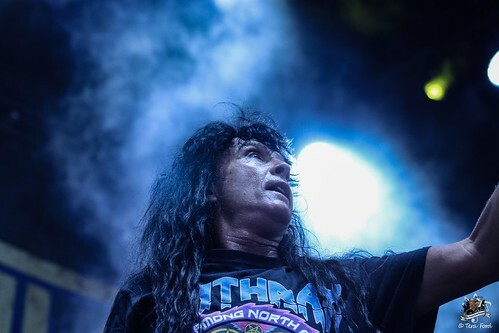 These guys are always non-stop on stage with Frank Bello and Scott Ian constantly running around and frontman Joey Belladonna never staying still it’s almost chaotic. Finally it was time for Slayer. 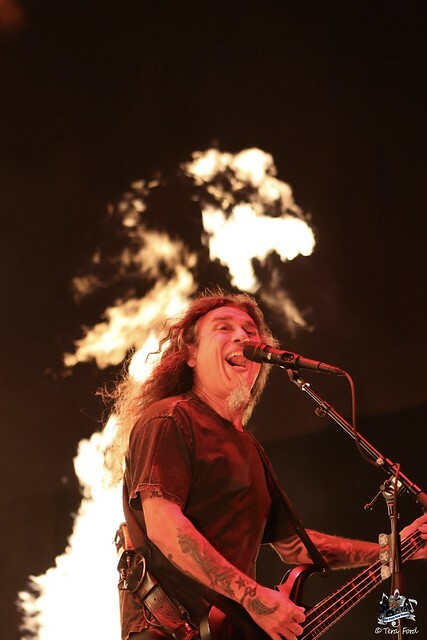 Normally for their live shows, they always have the coolest pyro and really awesome backdrops. This show was no different and they definitely did not hold back for the last tour. There were the infamous Slayer pentagrams that would sporadically catch fire during their set as well as shooting flames that would create inverted crosses in mid air. Overall they definitely went out with a bang. 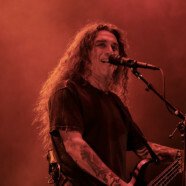 Their setlist pretty much covered their entire career quite nicely, including some not so commonly played songs such as “Payback” and “Dittohead.” Tom Araya spoke to the crowd several times during the night thanking them for coming out and for their support. They went on to play “Dead Skin Mask,” “South of Heaven” and “Chemical Warfare,” ending the set with “Angel Of Death.” In my opinion this was one of the best sets I have seen from Slayer and they gave their fans exactly what they wanted to see for their last tour. This leg of the final tour will wrap up on June 20th in Austin Texas but there have been more dates added with Napalm Death replacing Behemoth that will run through the end of August.